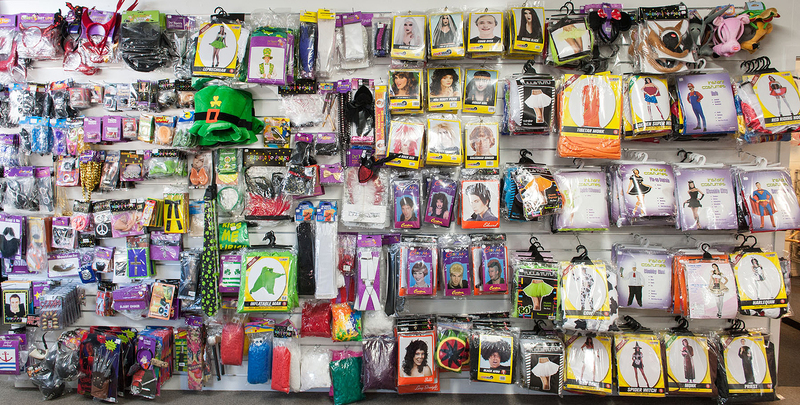 Pick a perfect costume from our largest range in store. Red and white pinstripe Bonnie character costume suit jacket and pants. Add a hand gun and character wig. Team up with Clyde! Abba Mamma Mia green costume set with bell frill sleeved top and frilled leg pants. This is a fabulous eye catching costume. Team up with some friends and go as a Mamma Mia group. Light blue with silver trim lycra Abba Mamma Mia costume set with top, pants and belt. Add a character wig and some platform shoes. 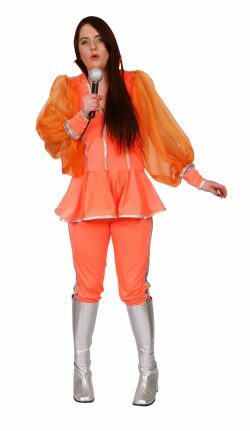 This orange Mamma Mia costume is a real knockout! The top has a fitted style bodice with a peplin skirt, matching pants and silver sequin belt. Be a show stopper and team this costume up with a pair of platform boots. Mamma Mia sleeveless pink top with high collar. Separate shoulder collar attaches with sparkley cape attached to wrist cuffs. Pants and silver sequin belt complete this eye catching costume. Wow the crowd!! 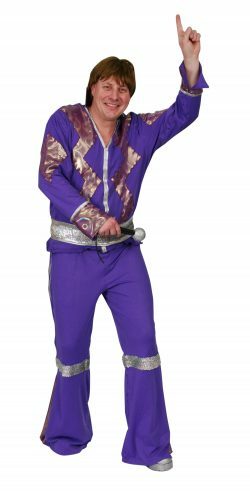 Abba Mamma Mia costume set in pink and purple with frilled sleeve top, silver sequin belt and frilled leg pants. 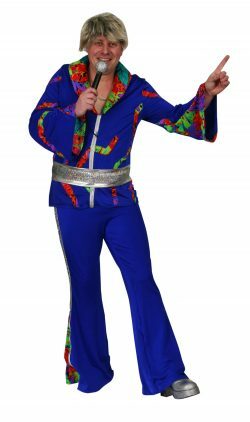 This is a popular Abba costume so do enquire early for your party. Mamma Mia purple top and pants with shiny silver purpley design. A wide silver sequin belt completes this costume. Don’t forget some platform shoes! Abba Mamma Mia red set costume with top and detachable sparkley mesh cape and pants. 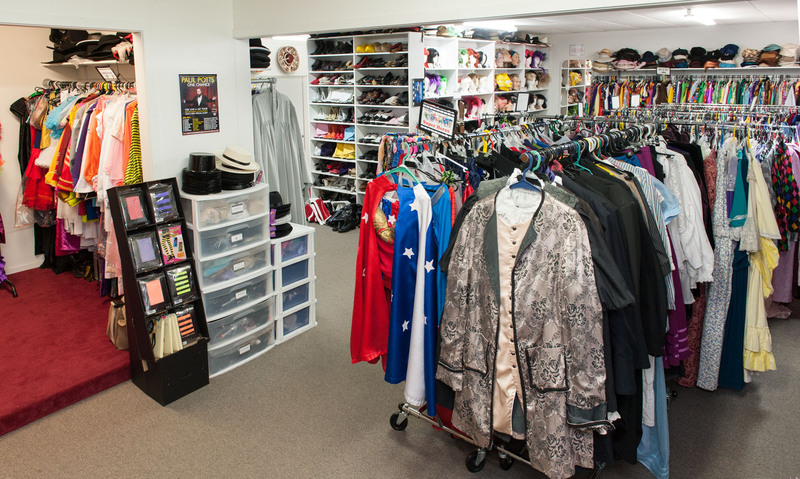 Add some boots to set the costume off. Original Mamma Mia royal blue top, pants and silver sequin belt. This costume is fantastic and the fluro coloured detail will have everyone complimenting you of your fab costume. Abba Mamma Mia yellow multi coloured frill sleeved top and pants. Add some coloured boots and dance the night away. 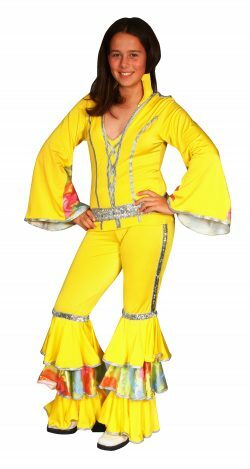 Abba Mamma Mia yellow blue lycra costume set with frilled sleeve top, sequin belt and frilled leg pants. Get some of your Abba fan club together and dress up as the whole group. Black Alice in Wonderland minidress with checkerboard mini top hat headgear and tulle layer skirt. Add some long black gloves, fishnets and eyelashes for a great looking themed costume. 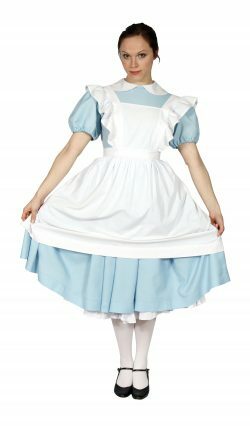 Alice in Wonderland traditional mid length dress puff sleeves with headband and bib front white apron. Add some pantihose and eyelashes. Alice in Wonderland blue long character dress with bib front white apron. Add the character wig and headband. This Alice costume is just right for any Fairytale party or character party themed ‘I Wish I Was…’ Add some cute shoes to complete your costume. Apron is attached.